A police officer should be remembered not by how she died, but hows he lived! A great woman has gone to secure a safe path for the rest of us to follow. Thank you to you, your family and Customs and Border Protection - United States Border Patrol . Our country is a little less safe without you. Rest in Peace Sister! Final Salute Border Patrol Agent Doss. Thank you for your service. You are a hero. Rest peacefully in the presence of God. We are praying for the family and fellow officers. Thank You for Your Service to Americans everywhere. I know your father well, and as you know, he IS so very, very Proud of You. 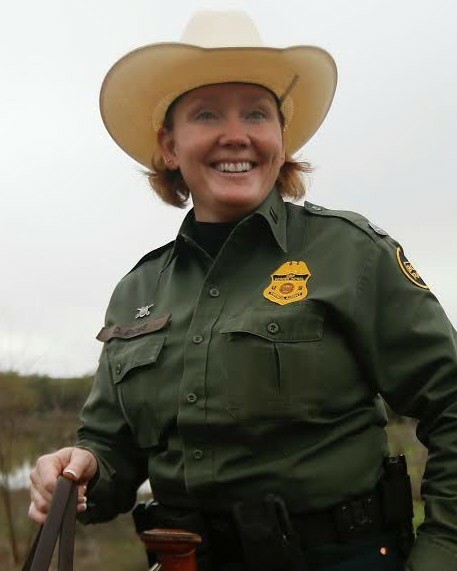 Border Patrol agents face the threats of other nations , and fight the wars at our borders. Rest in peace agent! You touched everything and everyone around you with a positive light; your selfless attitude and extraordinary work ethic gave us all something to aspire to, in both our personal and professional lives. You will be truly missed! RIP, Agent Doss. Praying for you and your loved ones.